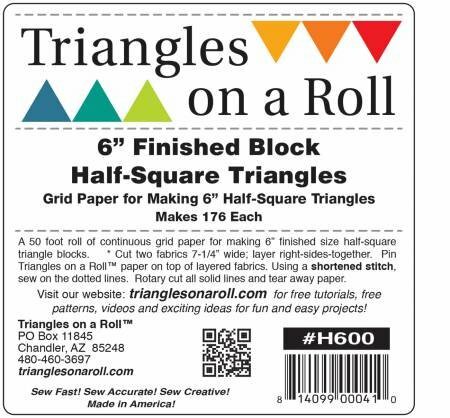 Use this size to make 6inch finished size half square triangles. The seam allowances are included in the pattern, so all you need to do is sew & cut using the pattern on the paper. Instructions are provided on the paper. Each roll make 176 HST.